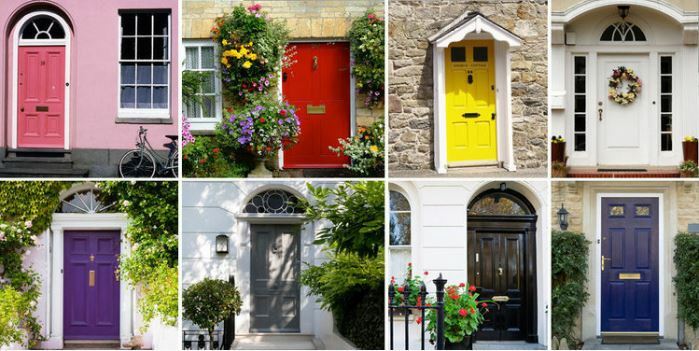 Kerb appeal: First impressions often sell a house, or even determine how many viewings a property will have. With many buyers looking online first before they contact the estate agent, they often do a ‘drive past’ viewing of the property before they arrange an internal viewing. Therefore it is imperative that the property has a kerb appeal. Gardens- Make sure that the front garden is tidy. Ensure that the lawns are cut, the flowerbeds are weeded and where possible plant these areas to create colour. If you have timber fence boundaries, ensure that these are in a good state of repair and either paint, or stain them. If you have hedges, ensure they are cut and pruned. Driveway: Many buyers look for ‘off road’ parking, so if your property does have this, show it off to its best ability. If it has more than one parking space, park your car to the side to clearly show that you can get more than on vehicle on the driveway. This may mean you cutting back hedging, borders or shrubs. If possible, clean the drive using a pressure washer, this creates a far better impression to the buyer. If your drive is graveled, you could consider giving it a new lease of life by replacing the gravel. A lighter colour of gravel can often give the impression of a larger area. Front door and external paintwork: First impressions is really important, if you have a wooden door, a fresh coat of paint in a classic colour will give it a real facelift. If you have a double glazed composite door, there are products to give it a clean. Door furniture, ensure that they are polished and if rusting, consider replacing. The same goes for weather boards, windows and all other external woodwork, ensure they are painted and in good condition.